Can use with KP269D feeding foot (inner foot). Down Turn Elastic Hemmer for Covering Stitch.. Single Upturn Folder for Covering Stitch..
Adjustable Single Down-turn Folder for Covering Stitch.. Single Down Turn Folder for Covering Stitch.. Single Down-turn Folder for Covering Stitch.. Downturn Folder for Covering Stitch Machine with T-Guide.. 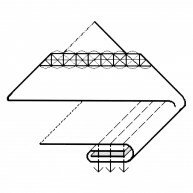 Right Angle Binder for Covering Stitch Machine (Single Fold).. Right Angle Binder for Covering Stitch Machine (Double Fold) ..
1/4" ~ 15/16" ~ 5/16"
5/16" ~ 1-1/8" ~ 3/8"
7/16" ~ 1-3/8" ~ 1/2"
1/4" ~ 1-1/4" ~ 5/16"
5/16" ~ 1-1/2" ~ 3/8"
7/16" ~ 1-3/4" ~ 1/2"